What’s not to love about our pink Pleated blinds? 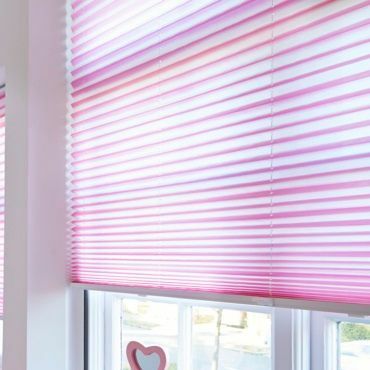 There’s quite simply nothing not to love about our pink Pleated blinds. From sugary sweet tones to hot pink patterns, our collection has something for everyone. Whether it’s on-trend pastel shades, or bright coral and crimson tones, our designs won’t fail to impress. As well as offering eye-catching elegance, Pleated blinds are perfectly practical. Our blackout options are brilliant for reducing unwanted light. They’re especially handy in bedrooms - or places like living rooms and studies - where glare from the sun can be distracting. 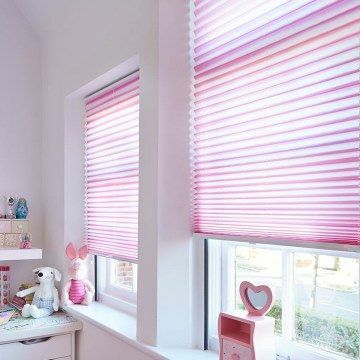 At Hillarys, we know you’ll be tickled pink by our beautiful range of pink Pleated blinds. But don’t just take our word for it - arrange a free home appointment and browse our gorgeous samples for yourself. 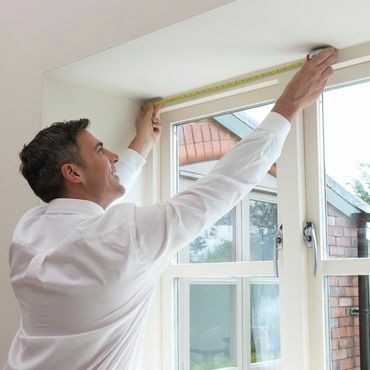 An expert advisor will bring our collection round on a day of your choosing, measure up and provide a no-obligation quote. To spice up your décor, ask your advisor about our TransitionTM Day and Night blinds, which allow you to combine pink Pleated blinds with a contrasting colour. Or if privacy is an issue, you could consider our TriliteTM Top-Down, Bottom-Up collection. These can be positioned anywhere on the window, for maximum versatility.